...it takes too long to heal the broken, if the door is locked kick it open. 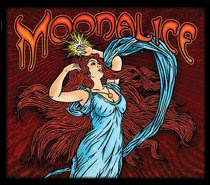 Jeanette Sears wrote the words and her husband Pete Sears wrote the music for this fabulous song recorded by Moonalice. Pete is an amazing keyboard artist and all around musician and I applaud their musical philosophy. 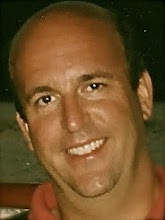 If you are my age you likely remember less and less, but you should remember in high school how the songs of the day seemed to reflect exactly how you felt about that crush or that sporting event or about that connection you had. I had a friend in high school who must have ended up as a DJ, he had written a love letter to some girl that incorporated the first line of nearly every top 40 song of that year 1974. I was blown away at the creative connections he made between popular music and real life. The Sears’ call to kick down the door to heal the broken is incredibly relevant today. We have experienced a giant move to the left as a country, and yet the left is as incapable as the right at developing rapid fixes for the less fortunate. It is time to kick open the locked doors of entrenched bureaucracy, whether its corporate America, the Sierra Club, Congress, the public education system, etc. and speed up the process of mending America. The 1960’s were full of protests about the Establishment and yet today the Establishment is as pervasive as ever - its not necessarily a WASP-oriented press and government, its an organizational culture that seeks to protect itself no matter what, to maintain the status quo while all the time paying lip service to continuous quality improvement and other unmeasurable management techniques. The music and freedom of the 60’s did a lot for the reinvention of our culture, our business models, and most of all our leadership position in the free world. It's time to rethink how open we are to a change of mind, and a better direction. It's time to kick it open. Let's get efficient, let's get green, let's get America going again. Edmund Burke had a Kick It Open statement a mere 300 years ago: “All that is necessary for the forces of evil to reign in this world, is for enough good men (and women) to do nothing.” What do you need to do to Kick it open? Love this - thanks for introducing me to Moonalice!